The Golden Gate Casino started serving the shrimp cocktail in 1959, at which time it cost 50c. The cocktail is served in a 6 ounce glass and there is no padding, not even lettuce. It is pure shrimp with cocktail sauce. 30 fresh jumbo shrimp with shells. In pot of boiling salted water, cook shrimp until pink, about 5 minutes. Drain and pat dry. 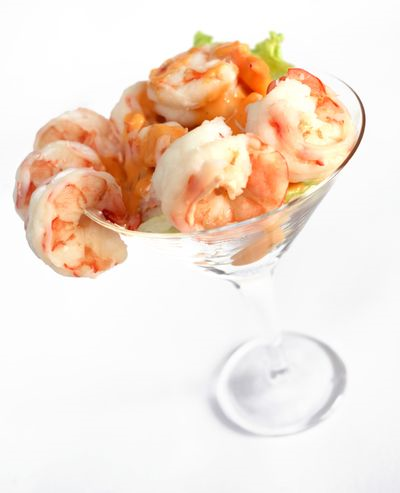 Arrange 5 shrimps in each glass. Top each serving with the Cocktail Sauce.